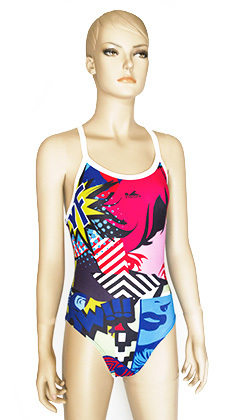 This is a colourful swimsuit with a pop art styled design. There is an all over print. The swimsuit comes with spaghetti straps. These would make an excellent value trainer or racer. 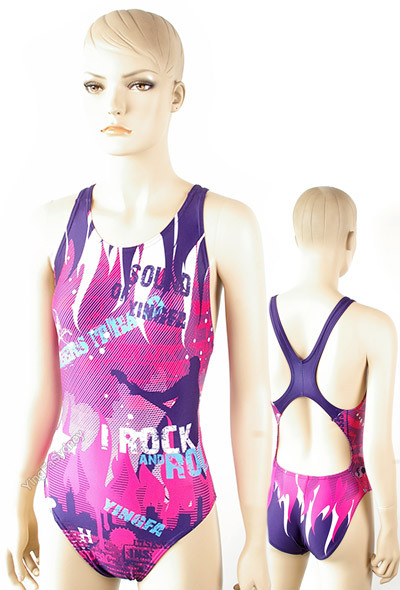 A modern funky designed swimsuit. Mainly a bright pink design with splashes of purple, white and blue. Not Lined. Not FINA approved. 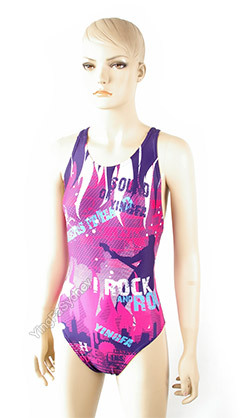 An attractive and comfortable swimsuit that can be use both for racing and training. The suit is black in colour with blue and a splash of yellow print on the shoulders and a solid blue detail near the waist. This suit is not lined. Not FINA Approved. 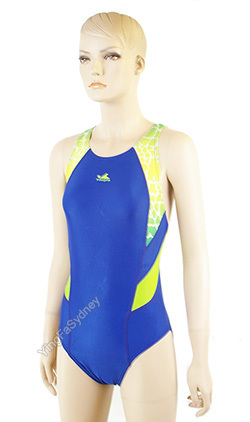 A comfortable swimsuit that can be use both for racing and training. The suit is black in colour with pink and a splash of magneta print on the shoulders and a solid hot pink detail near the waist. A comfortable swimsuit that can be use both for racing and training. The suit is blue in colour with green and a splash of yellow print on the shoulders and a solid green detail near the waist.